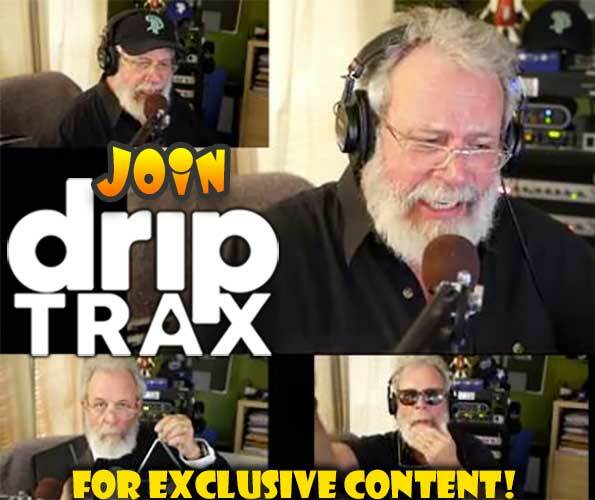 Give the gift of RiffTrax! 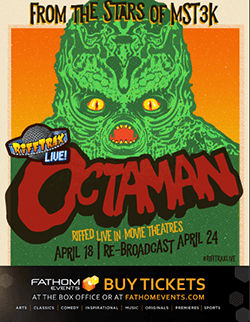 Whether young or old, male or female, alive or forever undead, everyone loves receiving the gift of RiffTrax! What better way to show a friend that you care than by sending them a gift card to purchase of one of our hilarious B-movie riffs, Educational short films or Just the Jokes commentary tracks? Gift Cards can be applied towards any item on our website, and they work just like any other coupon - just enter the Code you (or your friend) received at Checkout, and we'll deduct its value from your order. See this Help article for more info! 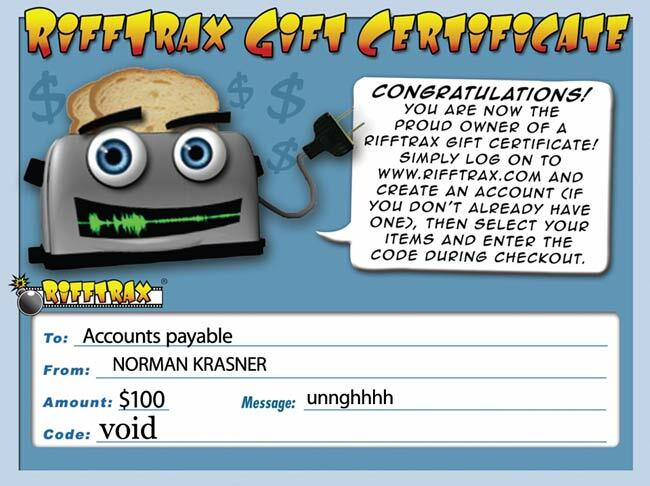 These are the real deal: physical Gift Cards that are printed up by us at RiffTrax HQ and mailed to you for hand delivery to your intended recipient. A RiffTrax Gift card is the perfect item for any Riffaholic on your list, and a great way to introduce RiffTrax to those who are RiffTrax addicts but just haven't realized it yet. Buy the gift of laughter today! 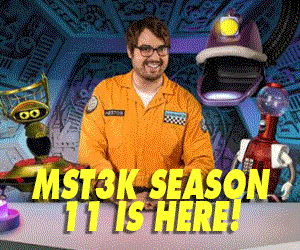 Looking for instant gratification or just can't wait for your mail to arrive? Get an e-Gift Card instead! They're emailed directly to your recipient after checkout. Who's the recipient of this gift card? Let us know who this gift should be from. Give your gift recipient some riff suggestions here!